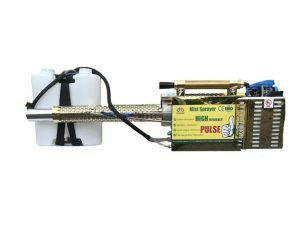 Home›Blog›What are the models of mist sprayer and what are their characteristics? What are the uses of mist sprayer? What are the models of mist sprayer and what are their characteristics? What are the uses of mist sprayer? Mist sprayer can be used to insecticide forest trees, quick effect, good effect, forest insecticidal tools. It can also be used for sanitation, epidemic prevention and disinfection, such as urban underground, garbage dumps, toilets, warehouses, stations, docks, airports, and other disinfection. Mist sprayer is divided into pulse power Mist sprayer, motor Mist sprayer, high-pressure Mist sprayer, mist sprayer, mist sprayer, agricultural Mist sprayer and so on. Mist sprayer’s development is a milestone forward of China’s plant protection machinery, Mist sprayer’s development experience from the single carburetor Mist sprayer to the present compound double carburetor. Water cooled Mist sprayer. Great improvements have been made in atomization, power and persistence. Mist sprayer product features: time-saving and labor-saving: the use of this machine to hit only 7-10 minutes per mu, greatly reducing the intensity of labor, to avoid the old pump water demand, pipe length, the need for many people to operate extremely inconvenient drawbacks. Want to be effective and lasting: the machine fog particles very fine (up to 0.5 microns), so that the adhesion of farmers to enhance, to face uniform, improve the efficacy of pesticides, increase the rate of insecticidal and bactericidal. Improve the quality of fruit: the machine spray pesticides, droplets very fine, no stimulation to the fruit surface, good fruit surface, more high-grade fruit, while reducing drug residues. Protecting health: This machine sprays medicine when there is no wind in the morning and evening, avoiding the phenomenon that old medicine pump must be sprayed in hot days, people are prone to sweating and poisoning, raising temperature and preventing freezing. When fruit trees germinate in spring, the machine can add smoke to raise temperature, prevent frozen flowers and jelly, reduce losses. Wide and no dead angle: when it is used for insecticide and sterilization, it has strong penetrability, comprehensive efficiency and no dead angle. The next article：What kind of malfunction will happen in the process of using the small mobile mist sprayer? How to solve it?